Green ceramic of the "Winter Wonders" Collection, to use as soup bowl, cereal bowl, salad bowl and more. Make every day special! 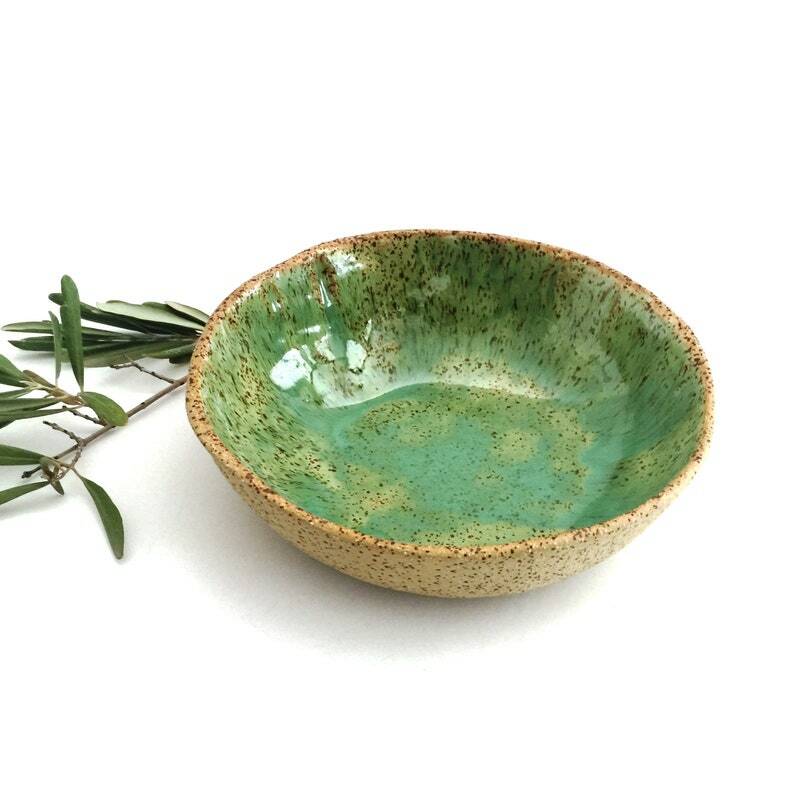 with handmade ceramic bowl to use as soup bowl, cereal bowl or salad bowl. A great idea for housewarming gift, a wedding gift or Christmas 2018 gifts. * Hand built of natural clay and lead-free food-safe glaze. All ceramic dinnerware are hand built from scratch, using environmentally safe and natural materials from sustainable sources. Price is for ONE ceramic bowl. Size of each ceramic bowl is about 6.5-7" (16.5-17.5 cm) diameter, 2" (5 cm) deep. Due to the handmade process, each small ceramic bowl is a little different but just as beautiful! Need it sooner? Please contact me. Check out "This is how I make it" Q&A at https://www.etsy.com/il-en/shop/VIBceramics?section_id=25108468#policies. This bowl is available in Turquoise, Green, Light Blue and White. You are invited to explore my shop for dinnerware, ceramic plates and different sets. Feel free to contact my for any question.